Bespoke Amazon marketing strategies that bring success to our clients. OPRO manufactures custom-fit mouthguards for over 1000 schools and sports clubs nationwide and are the mouthguards of choice for many professional and amateur sportsmen and women across the globe. Receiving the Queen’s Award in 2007, OPRO has also developed the revolutionary OPRO Self-Fit mouthguard. Featuring anatomical patented fin technology, the OPRO Self-Fit provides the best fit, comfort and retention of any self-fit mouthguard and is available from leading sports retailers in the UK in addition to numerous countries overseas. Successfully selling via physical retailers and being the product of choice for many world-renowned sports teams who trust OPRO to provide protection to their players’ teeth and gums, OPRO knew there was a huge potential for online sales as well. With an existing digital strategy that included Amazon they knew the potential for this sales channel was not being fully realised. Just like when searching on Google, customers don’t generally look past the first page if they see a product that attracts them and rarely look past pages two or three if they don’t! Effectively starting with Amazon again from scratch OptimiZon set up new accounts with new listings along with all of the associated back-office processes. These new listings quickly ranked on the first page of Amazon and in the first complete month from the start of the project, sales were double that of the entire previous 6-month period with the previous listings. James Pitts-Drake, Managing Director of OptimiZon commented “It’s a real pleasure to be working with a market leading brand and to help them gain the on-line sales they deserve. We look forward to the next 12 months and beyond and to expand this successful methodology globally using the Amazon sales channel”. 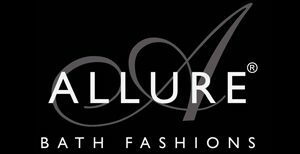 Allure Bath Fashions (ABF) provides a distinctive and broad range of beautifully designed bath mats and towels. Their brand is their promise to consumers, a commitment to provide helpful information as well as unique, practical and beautiful designed products that make every day more meaningful. Already selling products via their own web site it was clear that Amazon (with its 1.6 billion customers worldwide) could offer ABF a major route to market and therefore had the potential to expand the business significantly. Having created product listings on Amazon sales began slowly with the listings achieving only low rankings. Clearly the higher the rankings, the more visibility for their products and ultimately the potential for more sales however the organisation lacked the expertise to make this happen. Introducing Amazon optimisation experts OptimiZon; it became clear that there was more to Amazon than meets the eye. OptimiZon set about creating new product listings exploiting all the “secrets” of Amazon by accurate and detailed keyword analysis, more detailed and keyword rich product descriptions, quality graphics and a more comprehensive customer review strategy. This all took advantage of the Amazon search Algorithm and very quickly resulted in top rankings for the ABF products. Within one month, sales on Amazon rocketed from 50 units per month to over 500 in the first complete month of OptimiZon’s involvement and over the following 6 months, sales have increased by a factor of 40 with more than 2000 units being sold per month. Allure Bath Fashions Managing Director, Anurag Chaturvedi commented “We are delighted at the success we’ve had on Amazon as a direct result of OptimiZon’s involvement – we continue to break all sales targets and enjoy working with the OptimiZon team in achieving these outstanding results”.